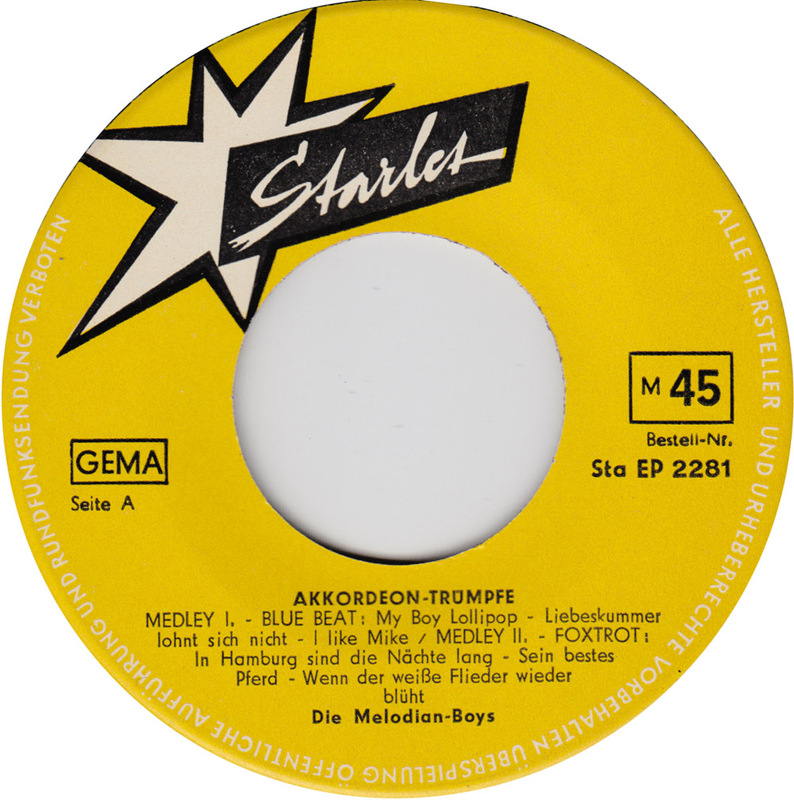 To wrap up the little German blue beat excursion, here´s a budget EP on the Starlet label from Munich, containing 12 hits played on the accordion. “Medley” sounds bad, as does “accordion”, and it sure is bad: It sounds nothing like ska. Fittingly, the record is also seriously warped and I couldn´t fix the sound. I already posted this German version of Shame & Scandal back in 2009. 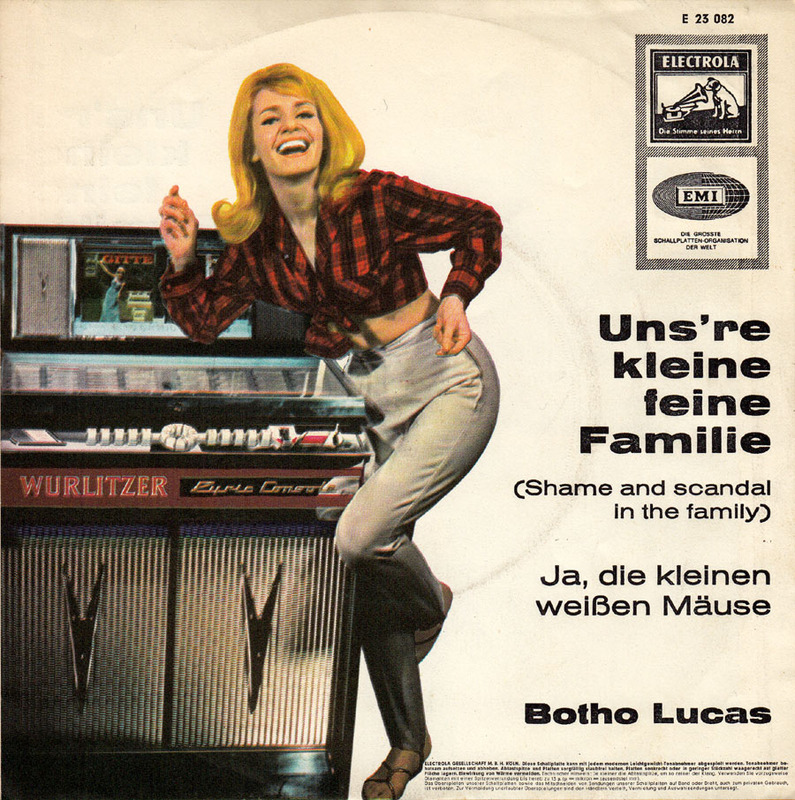 Botho Lucas (1923-2012) had a long career recording and performing with his Botho-Lucas-Chor. 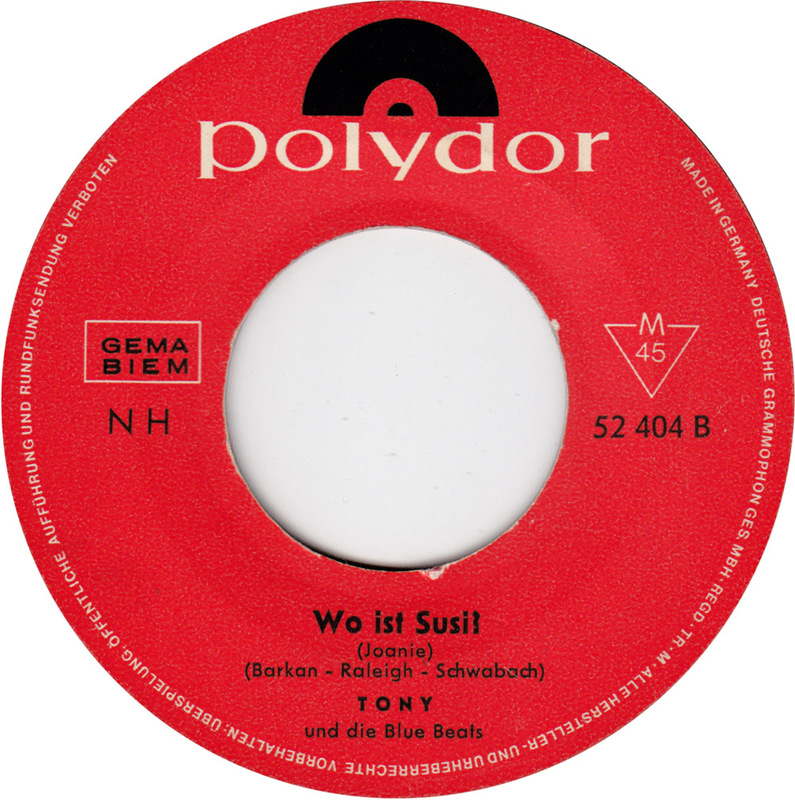 In contrast to what the girl and the juke box on the record sleeve suggests, Lucas himself was in his early 40s when he recorded this German ska song. Still, his version seems much fresher than Harry and Ronny´s. It´s a little faster and has got a heavier beat. Shawn Elliott´s Shame & Scandal and Millie´s My Boy Lollipop were the biggest ska hits. 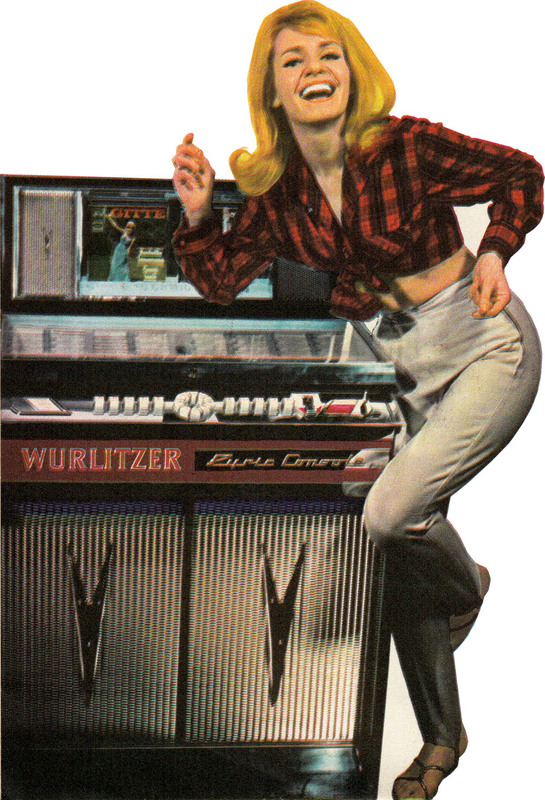 Heidi Bachert recorded a German version of My Boy Lollipop in 1964. 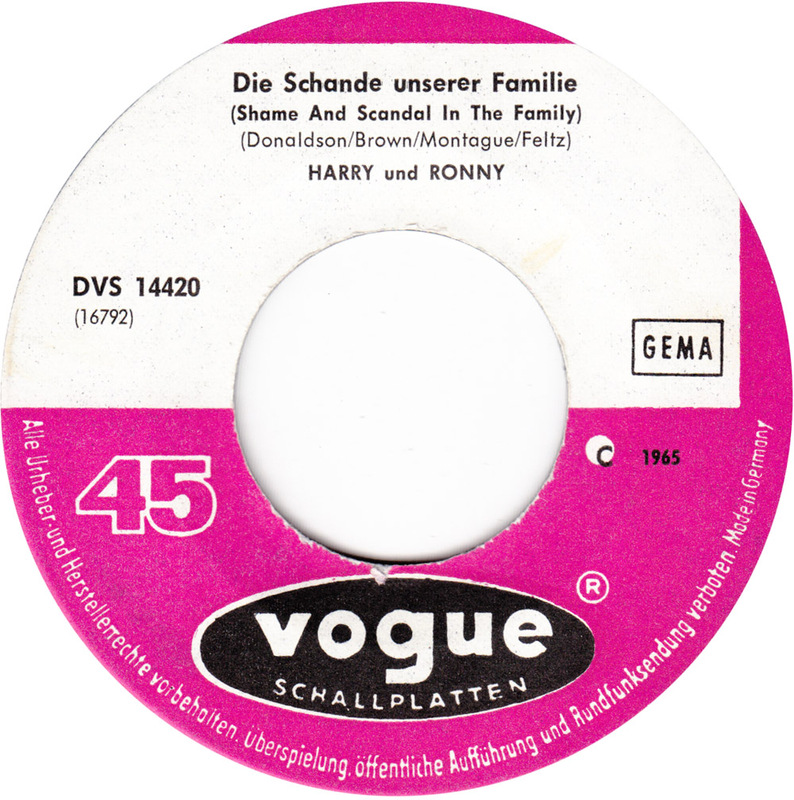 There are dozens of covers of Shame and Scandal In The Family in various languages and at least four different German versions. Gela & The Gentries even recorded a great Bavarian version: Die Schand und dös G’red. But there were a number of German artists who also jumped on the blue beat train. Now, as I´ve written, this would make a nice “Ska in Germany” compilation. Unfortunately I don´t own any of these records, so meanwhile you may just follow these Youtube links. Gitte recorded Das ist der Bluebeat, Mike & Joe (alias Michael Holm and Joachim Heider) recorded Blue Beat Baby paired with the equally great ska flip Hallo du, hör mal zu. Ria Bartok did Zu schade dafür ( a cover of Tracey Dey´s Ska Doo Dee Yah) and Annamarie did the clearly off-beat Little Boy Butterfly. 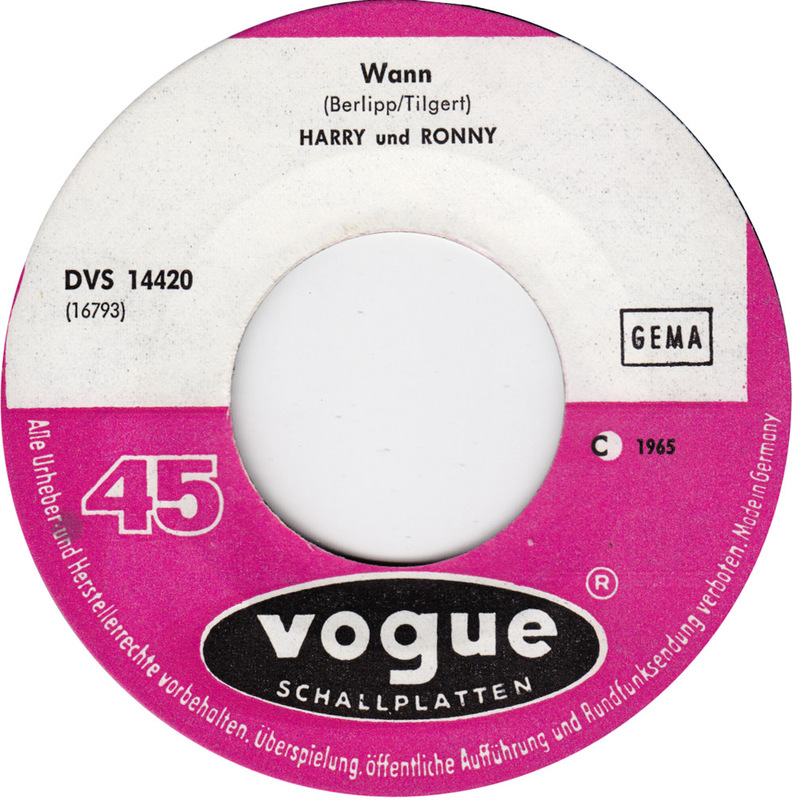 I couldn´t find the song anywhere, but there is a version of Patsy Girl, recorded by Udo Arndt und die Safebreakers. I assume it´s a cover of Ross McManus & the Joe Loss Blue Beats 1964 smash. Ross McManus, the father of Elvis Costello. 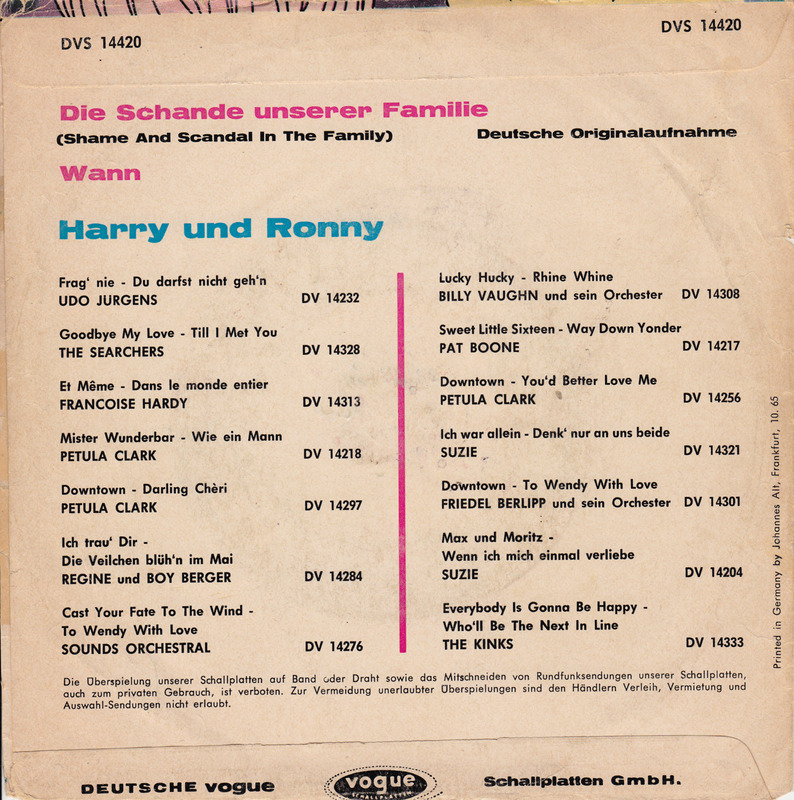 The German lyrics to Harry and Ronny´s version of Die Schande unserer Familie were written by disc jockey Camillo Felgen, who also wrote the German lyrics to the Beatles´ She Loves You (Sie liebt dich) and I Want To Hold Your Hand (Komm gib mir deine Hand). 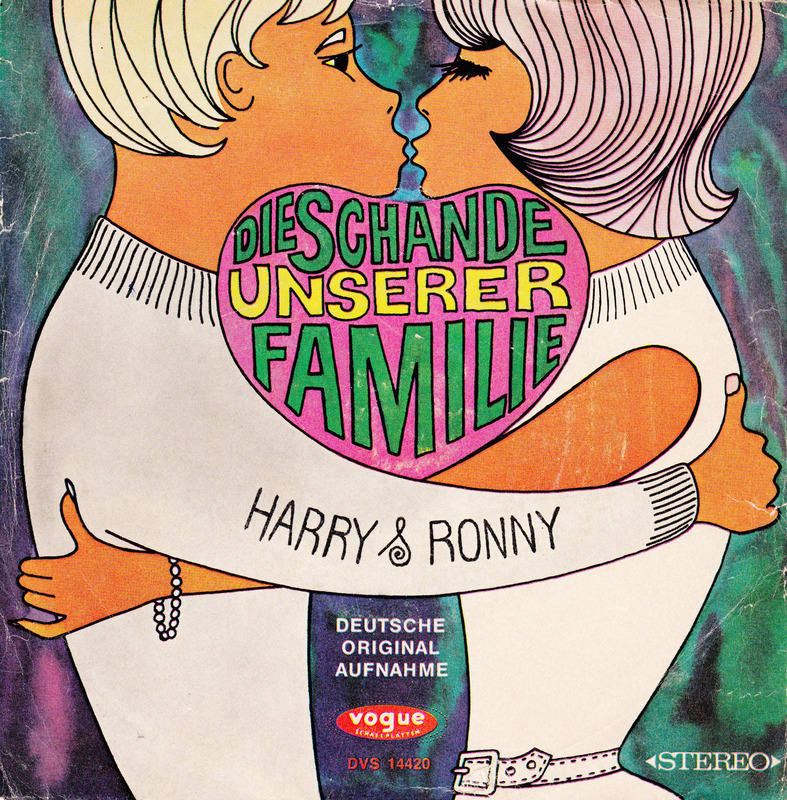 Now who were Harry and Ronny? More German ska! Tony, born Manfred Oberdörffer, got his stage name “Tony Tornado” when he was with the Tonics, the German budget beat band of the 60s. Also billed as the Ravers and the Spots, they mostly recorded cover songs for Polydor and its budget subsidiary Tip. 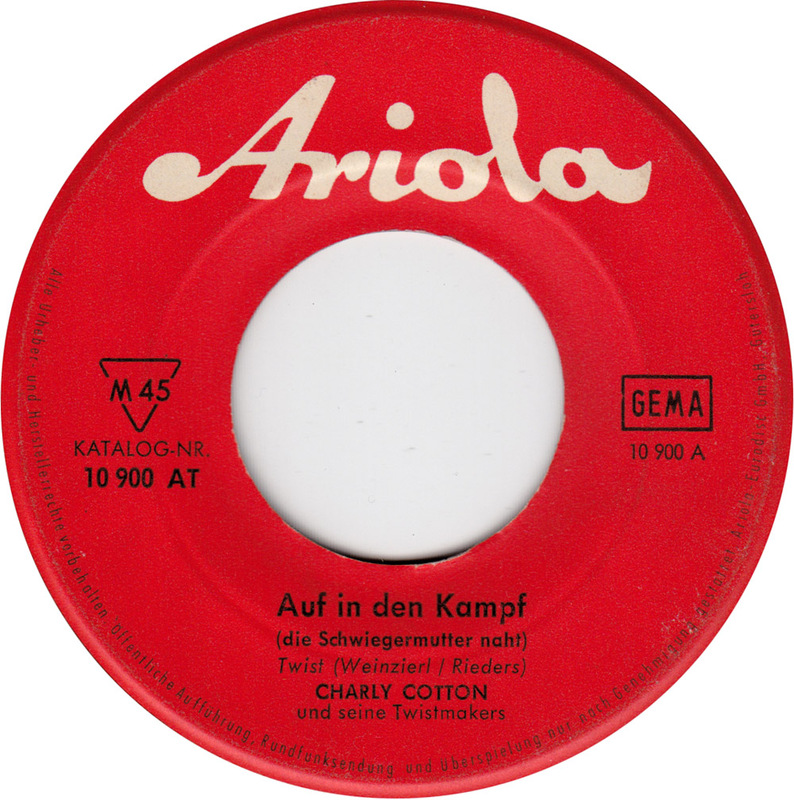 In 1971 Tony hit with Mädchen mit roten Haaren, that reached #21 in the German charts. 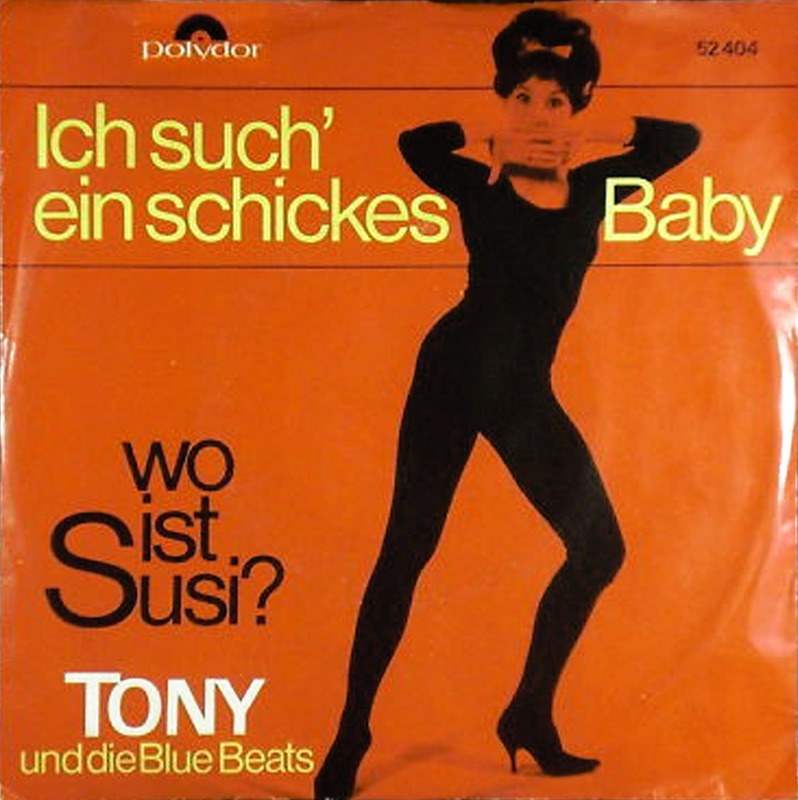 Both of the songs by Tony and the Blue Beats do make an effort to translate the Jamaican blue beat sound into German pop music. 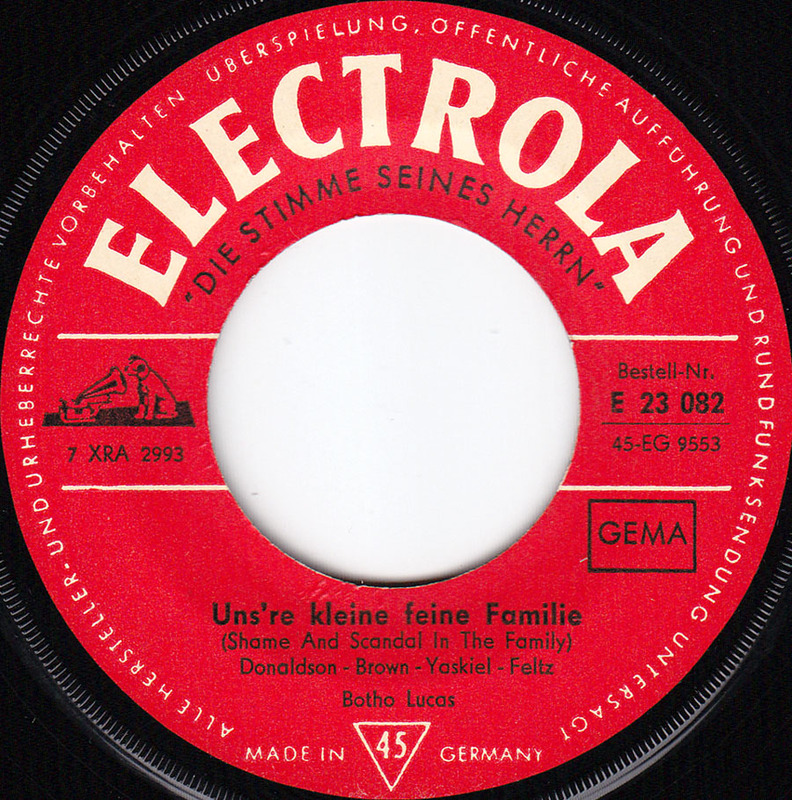 Ironically, the original version of Ich such´ ein schickes Baby, Do the Blue Beat (The Jamaican ska), was recorded by Dinah Lee, half-way around the globe in New Zealand. This pairing of ska songs though, was more likely based on an obscure US-RCA release by Ray Rivera, that featured the same songs. Naturally, Tony´s jamaican ska versions are heavily doused in schlager. The sleeve is from popsike. The record was sold on Ebay for 79 Euros two years ago. I bought my sleeveless 45 in a local record store for 4 Euros. 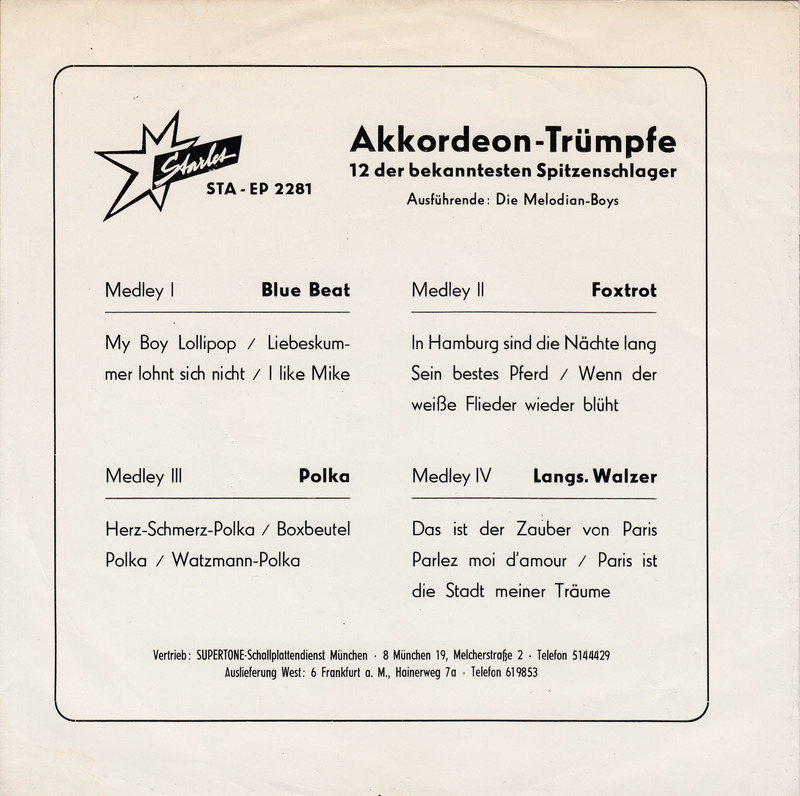 Bear Family put out a “Surf in Germany” LP in 1989, but so far there has never been a “Ska in Germany” compilation that features the early German attempts at the Blue Beat sound. This is one example. Christian Bruhn (born 1934) is one of the most important songwriters and producers of German pop music. Drafi Deutscher´s hits like Teeny, Shu Bi Du Bi Du The Slop, Cinderella Baby, Shake Hands and of course his smash Marmor, Stein und Eisen bricht, were written by Bruhn. I would even compare his collaborations with lyricists Günther Loose and Georg Buschor, to that of Jerry Leiber and Mike Stoller. They might not have been such huge fans of afroamerican culture as Leiber and Stoller, but they also genuinely wrote pop songs for teenagers. Bruhn had a very successful career with a long list of achievements and awards. Like Leiber and Stoller, he started his own label and music publishing and mainly stayed in the background. Now at 80, he is still working. For a while though, he also tried his luck as a performer. 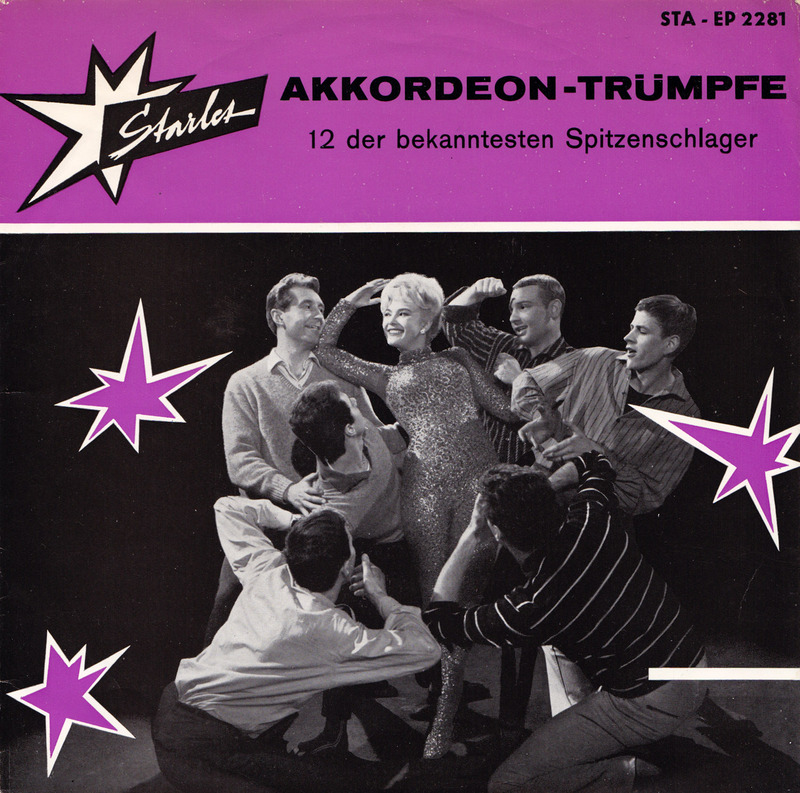 Christian Bruhn, alias Charly Cotton and his Twistmakers, hit the top 50 with Der Liebestraum als Twist in 1962. 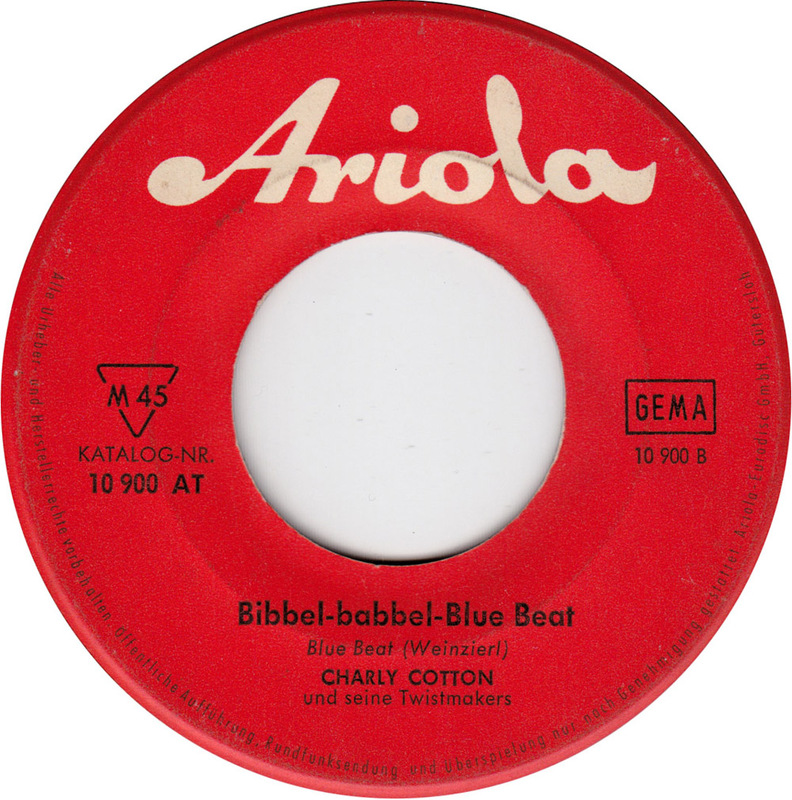 Bibbel-Babbel-Blue Beat, the flip to Charly Cotton´s third release, seems to have gone nowhere and hasn´t been reissued in 50 years. It´s about time this wonderful nonsense is heard again! 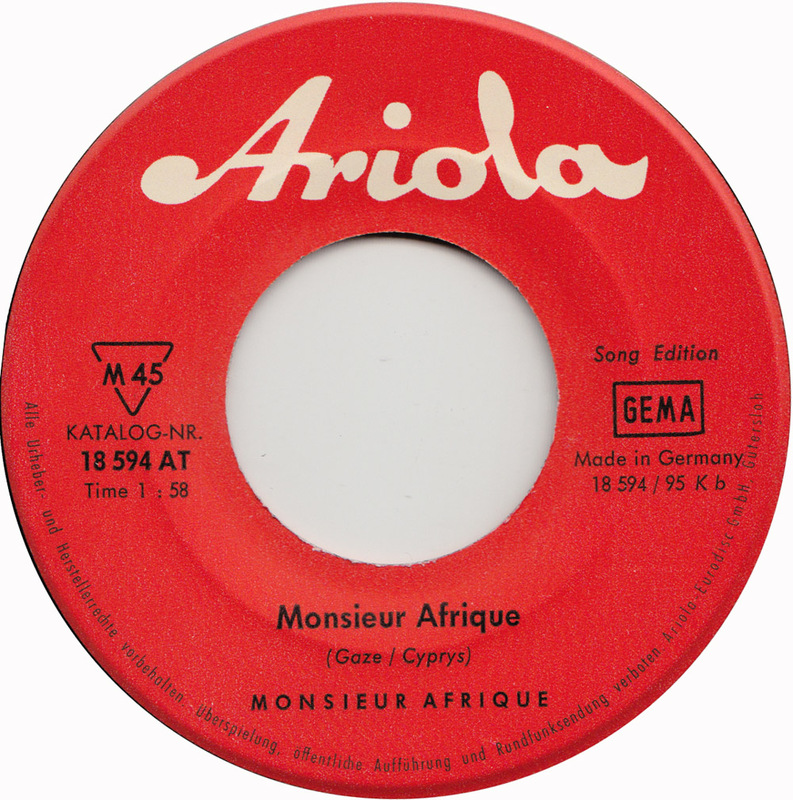 Who is this mysterious Monsieur Afrique?. Was he actually from Africa, or was he an “invention” of local Berlin comedian/musician Frank Zander? There is an early release of Zander´s beat group “Q” together with Monsieur Afrique. This would fit his type of humour. But then who is the man on the front sleeve? 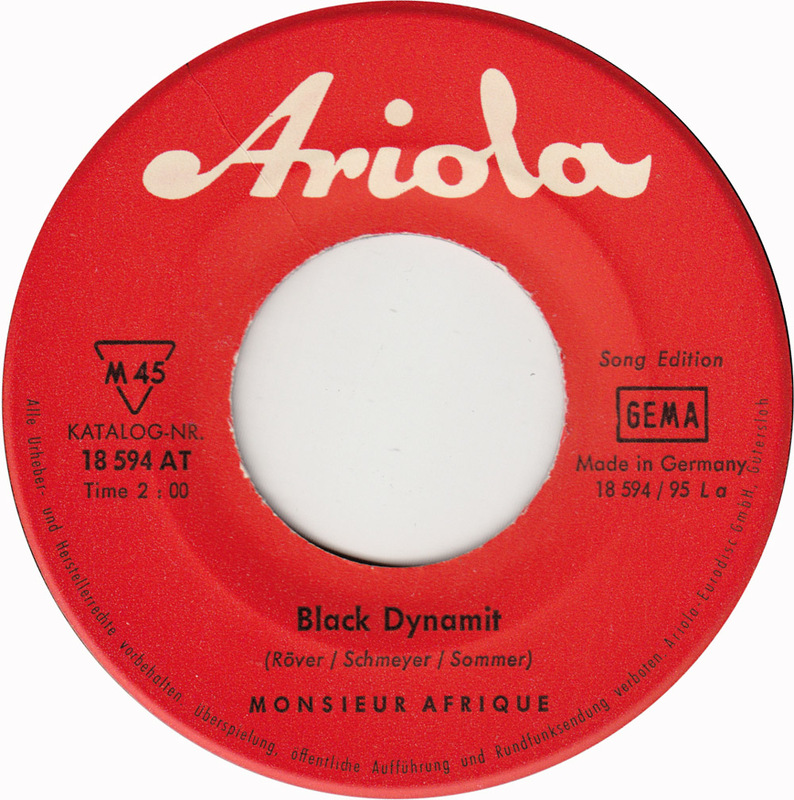 In 1965 Ariola launched a series of 45s with jackets that all seem to have been designed by the same graphic artist. Most of them showed very similar black and white characters cut out on white backgrounds with a touch of red. Ariola sure had a bunch of cool groups back then! Here´s some great lost Afro-German weirdness! 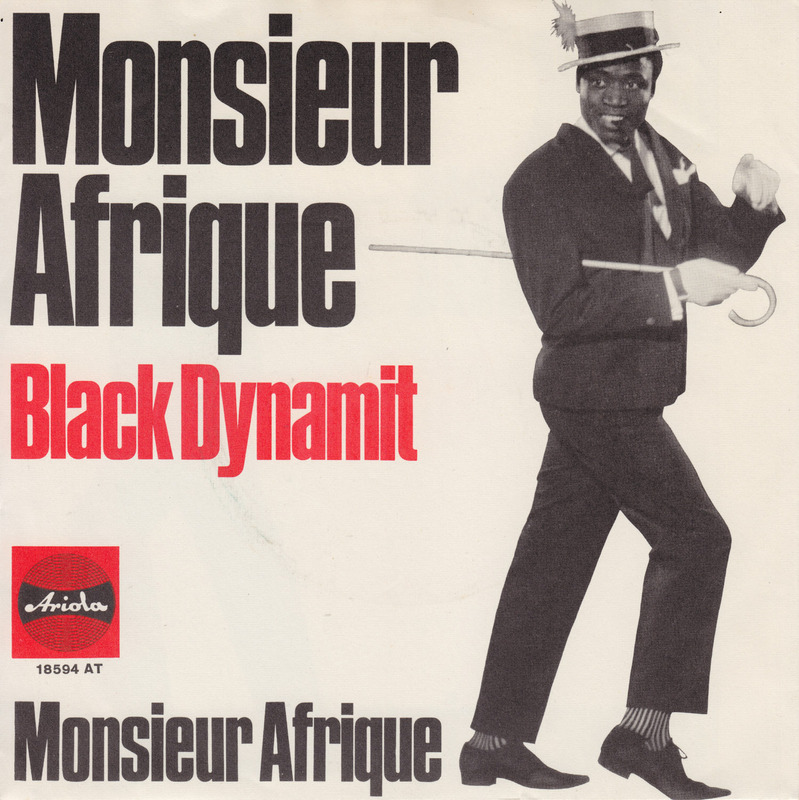 “Black Dynamit” is an up-tempo off-beat Blue Beat/Ska hit! A hit that has miraculously never been re-released in fifty years.